The Capitol Hill Chamber of Commerce will hold its annual State of the Hill event Friday night in the Loft/Bar above 11th Ave’s Queer/Bar. A big part of the night will be honoring this year’s Spirit of the Hill award winners — meal provider Community Lunch on Capitol Hill, and Laurie Kearney of Ghost Gallery and Jeanine Anderson, coordinators of the monthly Capitol Hill Art Walk. Nobody seemed to notice when the snowflakes didn’t go up around Christmas. But a few readers have asked CHS to check in on a symbol of Pride missing from the Broadway streetscape again this year. There are no Pride banners on the street’s utility poles. The Capitol Hill Chamber of Commerce is pulling back on a years-long plan to expand a Business Improvement Area (BIA) property assessment that would provide hundreds of thousands of dollars for providing street clean-up and merchant support across the neighborhood. Seattle’s “tax revolt” spring of 2018 includes a skirmish along Broadway, Pike, and Pine. Instead of a battle over “No Tax on Jobs,” this fight pits the Capitol Hill Chamber of Commerce vs. a coalition of the neighborhood’s few remaining smaller and family commercial property owners and its relatively few co-op and condominium property residents. Together, the group could prove a major barrier for the chamber. “We have huge traction to fight the proposed Business Improvement Area,” prolific Capitol Hill real estate investor Morris Groberman tells CHS. “It is important that small business SPEAK UP as Councilmembers finalize their proposal,” the Chamber implores. The proposal from the council’s Lorena Gonzalez and Lisa Herbold aims to raise at least $75 million annually to address the twin crises of affordable housing for the city’s most vulnerable people, and the increasing number of people living unsheltered. It comes in two parts: an ordinance that enacts the tax, and a resolution that lays out the spending plan. Last week, “work” came up a lot as the Capitol Hill Chamber of Commerce recognized Elliott Bay Book Company’s general manger Tracy Taylor with its 2018 Spirit of the Hill award. Taylor will soon have even more work to do as she helps the Pioneer Square-born, 10th Ave resident bookstore expand with a new presence at Seattle-Tacoma International Airport. “I look around this room and I see how much work everyone in this neighborhood does to make sure that our neighborhood is a wonderful place to live, to work, to run a business,” Taylor said upon receiving the award in the seventh year it has been handed out. Last year, the chamber recognized two women developers reshaping Capitol Hill, had a different director, and the guest of honor was Mayor Ed Murray. It’s been a long year. The Capitol Hill Chamber of Commerce is gearing up for its 2018 State of the Hill event and Spirit of the Hill award ceremony. You can lend a hand. 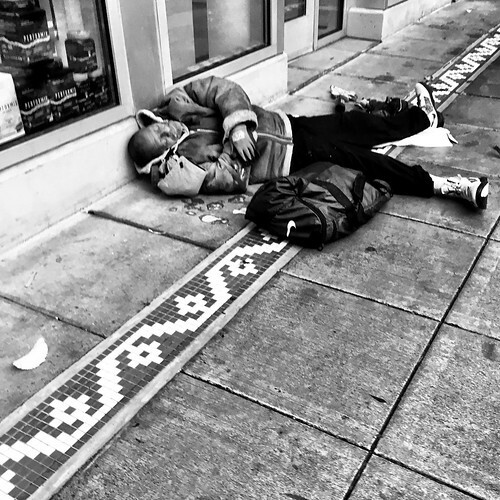 The Capitol Hill Chamber of Commerce is joining its downtown cousin the Seattle Metropolitan Chamber of Commerce in a “call to action” against a proposed revival of a Seattle business “head tax” to help pay for homelessness services in the city. The Capitol Hill Chamber of Commerce is ready to start its campaign to build a $1.6 million a year program to help fill empty store fronts, attract visitors, expand street cleaning, improve public safety, advocate for affordable housing and improved service from City Hall, and make local attractions like Cal Anderson Park more inviting. Now the nonprofit just needs 390, or 60%, of some 650 commercial property owners to sign on to its plan to expand the neighborhood’s Business Improvement Area across Broadway, 12th Ave, 15th Ave E, 19th Ave E, Melrose, Olive/Denny, and Pike/Pine. If it can hit that threshold, all commercial properties in the BIA will be required to pay into the program. “It’s gonna be a lot of groundwork,” director Sierra Hansen told CHS about the expansion campaign. Starting with Wednesday night’s announcement of the campaign’s launch, the chamber this week is delivering petitions to the 650 property owners within the proposed new BIA boundary. “I’m a very stubborn person,” Hansen said. Seattle Police want people on Capitol Hill concerned about Sunday’s shooting at 13th and Olive to know that the department’s investigation of gun violence can be methodical but that the issues are known, the crime problems are being addressed, and detectives are working to make sure there is eventual justice. SPD spokesperson Sergeant Sean Whitcomb said the department’s detectives are “actively tracking this investigation” and that gang units are “aware of recent incidents in the city” including a recent string of shootings across Capitol Hill and the Central District. According to the latest SPD statistical report on city crime for November, gunfire incidents continue to plague East Precinct and South Precinct despite a continued drop in overall crime across the city.